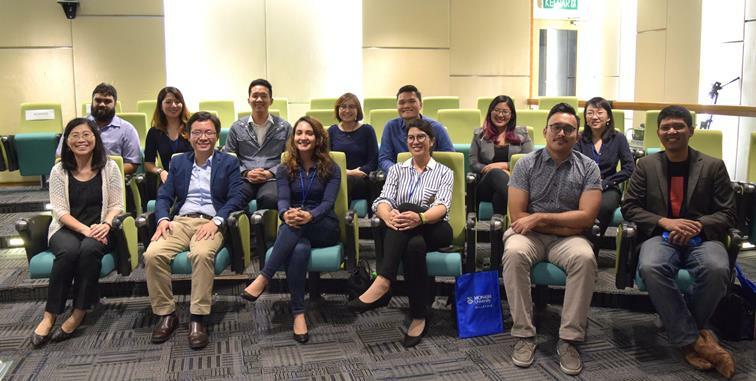 The first alumni event to be held as a forum; the graduates of the School of Arts and Social Sciences of Monash Malaysia convened not just to reconnect, but to also bring their educational background of media expertise to the table and discuss the current and future state of the media in light of a burgeoning habit of both American and local Malaysian news reporting. 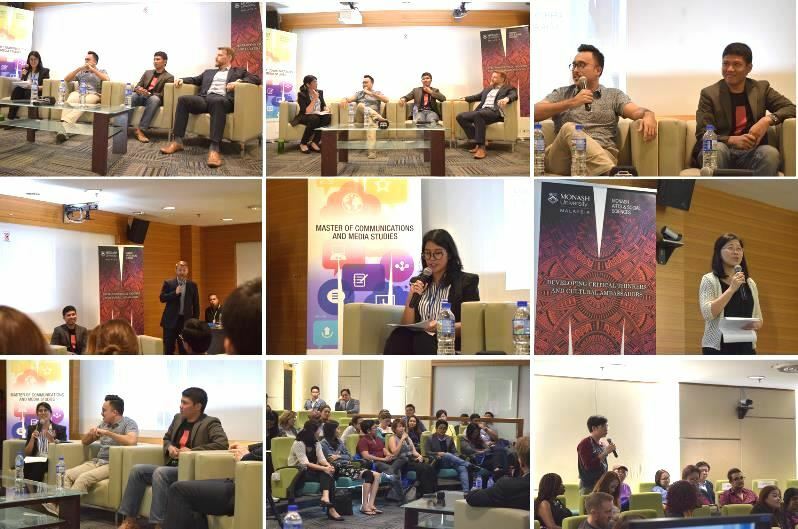 Organised by the SASS Alumni Association, spokesperson Lim Zhen Hui and team brought together a night of insightful discussion on how the media industry is perceived to work and assimilated by consumers; and how the changing nature of the audience affects these elements. 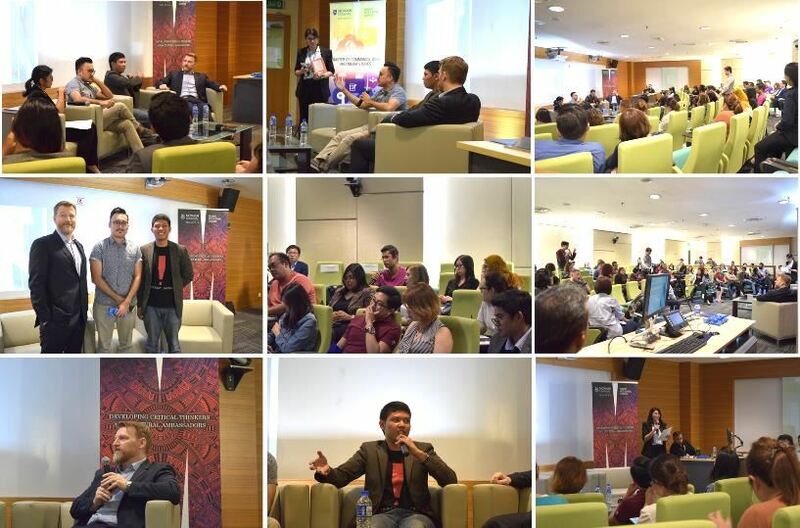 The forum consisted of SASS Alumni members and panel members made up of Dr. Joel Moore, senior lecturer in Global Studies and Deputy Head of School (Education) in Monash Malaysia; as well as media industry representatives Shazwan Mustafa Kamal, assistant news editor for MalayMail Online, and Iqbal Fatkhi, writer and project manager of CILISOS Media. The night began with a speech from the Head of the SASS Faculty, Professor Kuah Kun Eng welcoming back the alumni attendees and imploring them to continue providing guidance to the future generation of Monash graduates. The forum’s discussion was introduced through a presentation by Dr. Moore highlighting the elements of the topic as well as bringing up questions and issues for consideration. Among the points up for conversation included public opinion of truth, political misrepresentation of facts; social media enabling extrapolation of populism, and how the trend of voting against instead of for had huge impacts, as in the case of Trump versus Clinton for President of the USA. Moderated by alumni member Farlina Md Said, the forum proceeded with input from Dr. Moore as well as Kamal and Fatkhi being people familiar with the procedures in researching and releasing political stories. Among the issues discussed were how some news’ context and narratives are spread by bias and opinions rather than factual truth, especially through social media; and factual accuracy was overridden by the audience apparently choosing what appealed more to them personally. Also brought up was the issue of view discrepancies - explained by Kamal and Fatkhi that factual relevance may differ as a reporter and as an audience. The event came to a close with a Q&A session from the attendees to the panel, dissecting the discussion further and exploring how the attendees as audiences for the media could affect the production of news reports. Also discussed was how social responsibility as free media journalists could be maintained when publicly unpaid content is potentially affected by those who sponsor it, to which the panel responded with good-natured humour yet also with familiarity. A combo of networking and learning, this SASS Alumni event was a great success in relating the subject matter to the media-savvy expertise a Monash Arts graduate is expected to have; and with the high encouragement from both the guest panelists and attendees, the next of its kind is highly looked forward to.